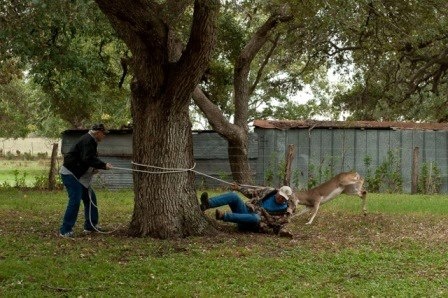 Why we shoot deer in the wild. I figured if I just let it go with the rope hanging around its neck, it would likely die slow and painfully somewhere. 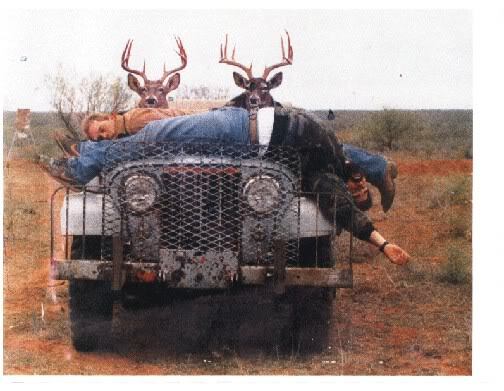 At the time, there was no love at all between me and that deer. At that moment, I hated the thing, and I would venture a guess that the feeling was mutual. Despite the gash in my head and the several large knots where I had cleverly arrested the deer’s momentum by bracing my head against various large rocks as it dragged me across the ground, I could still think clearly enough to recognize that there was a small chance that I shared some tiny amount of responsibility for the situation we were in. I didn’t want the deer to have to suffer a slow death, so I managed to get it lined back up in between my truck and the feeder – a little trap I had set beforehand…kind of like a squeeze chute. I got it to back in there and I started moving up so I could get my rope back. All these events are true so help me God…An Educated Farmer.